According to this undoctored photo, this phone is bordering on its 43d year. 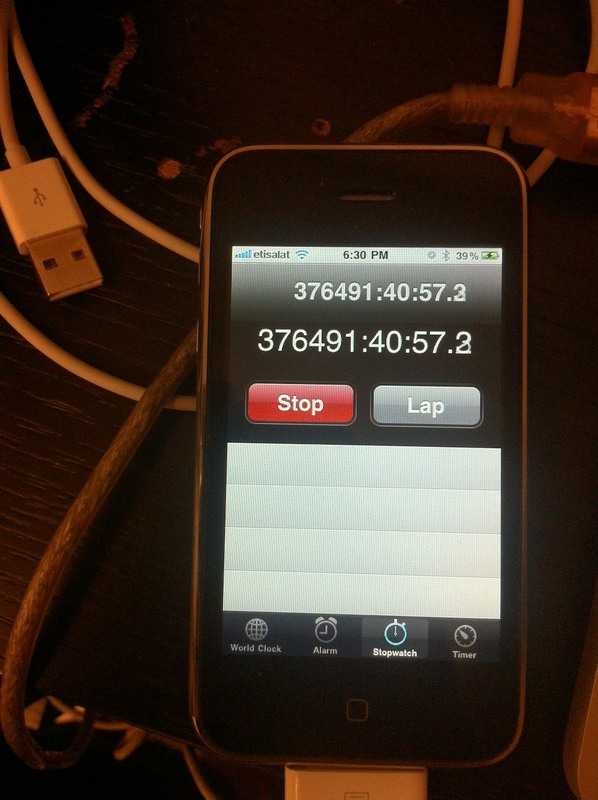 Having been running for three-hundred and seventy-six thousand four-hundred and ninety-one hours (and still ticking), it must certainly be the oldest iPhone in the world. It would have been made in 1968, a leap year that started on a Monday.